DAVID LE/Staff photo. 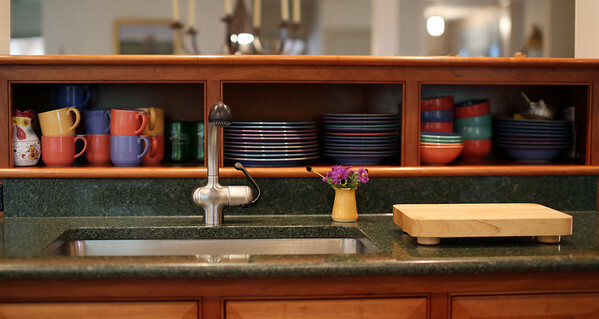 John VanRemoortel fashioned all the cabinets in his kitchen by himself, creating this little nook to store plates, cups, and bowls. 10/9/15.